I’m am trying to get it together on the productivity front in 2019. I purchased a Filofax and my friend gifted me with an Ink & Volt planner. YouTube has been really helpful with tips on getting my planner life together. But it has also been my biggest distraction! With so many methods, tips, and suggestions, it’s hard to figure out what will work for you. So why not try everything? And that’s where I am right now. Overwhelmed from trying too much of everything. Let me show the tools/planners I’ve been using and how I set them up. 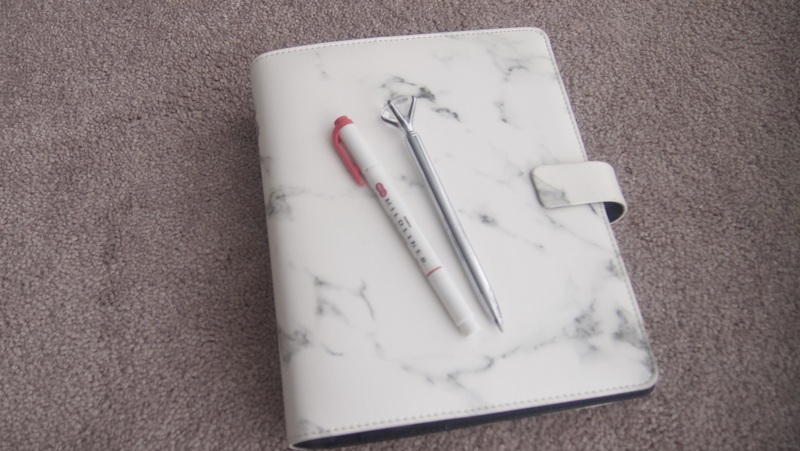 This is my A5 Marble Filofax. Purchased during the Filofax Black Friday sale. I believe it was 40% or 50% off. It looked exactly how I expected it to look when I opened the box! I have a very basic dashboard. The calendar divider came with the inserts set that I purchased at Michaels. And the rose gold heart paper also came from Michaels. I have a small notebook in the side pocket. Inside I have written some steps from the Get Things Done book. It would be helpful if I actually looked at! (That’s actually my biggest problem!!) I have a pink Midliner in the left pen loop and some post it notes. The top tabs I created from plastic chopping mats purchased from the Dollar Tree. The tabs are based off the Inbox/Capture and Next Actions catergories from the book. I also have a tab for Books that I want to read. My side tabs consist of the calendar months and my projects. I’m trying to only keep three months at a time. This will prevent my Filofax from bursting at the seams! The current project topics I have is: Finance, Health, and Travel. Filofax Marble A5 top load pouch. Filofax Marble A5 back pockets. The first picture shows my top loading pouch. I keep stickers and an extra highlighter in here. The second picture shows the back pocket. I keep some writing prompts here that my coworker gave me. I also have a copy of the passion map from the Passion Planner. My tab categories and planner layout have changed every week since I set it up. I can’t wait until I get to the point where I check it every day and completely trust the organization and information that I record in it. 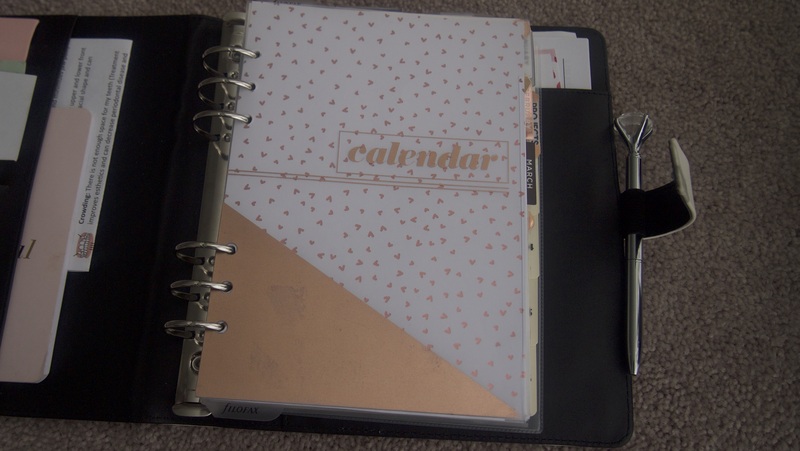 Do you use a Filofax or binder planner system? If so please share any tips you may have. I am really driven to “Filofax” my life in 2019 and get super productive.